I had such a hard time picking the invitations for our beach wedding. 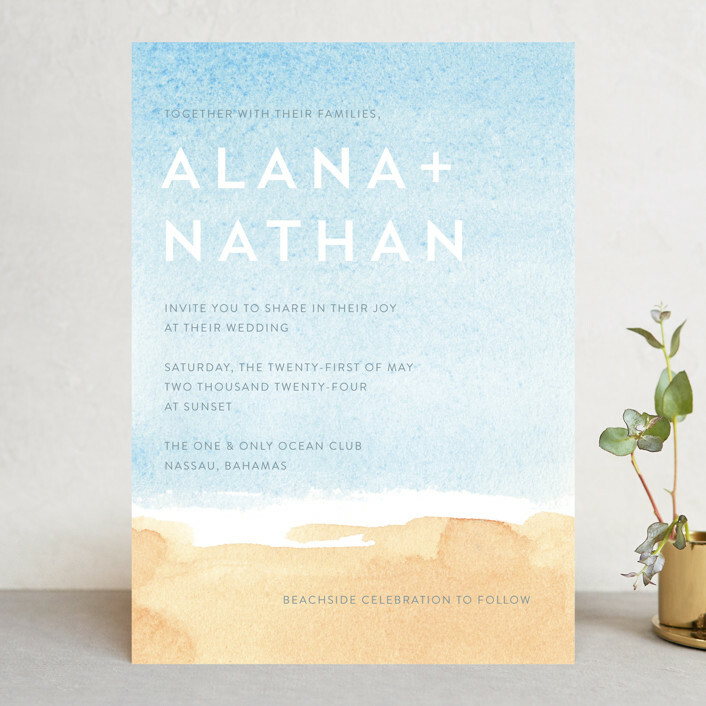 I looked at dozens (a hundred beach wedding invitation ideas, maybe) -- and ended up having ours designed professionally. Going through them all, though, it was so time consuming. I don't want you to waste your time, so I'm helping you out. I put together a list of some of my favorite unique beach wedding invitations. They are in a list of ten below, and then you can scroll a little to see the image and the reasons why it made the list. Just click through the links and you can just go straight to the invitation, personalize it, and place your order. Super easy. And don't worry. 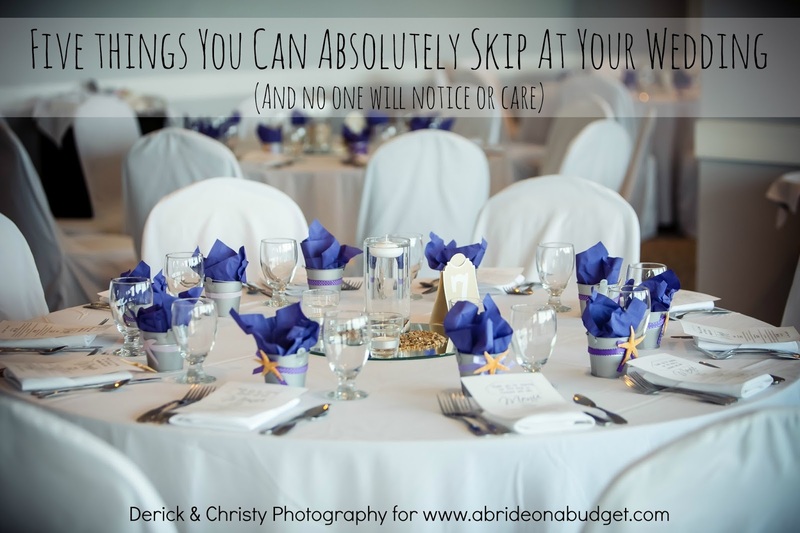 I actually go through these lists and update them every six months or so to make sure the wedding invitation ideas I post are actually in stock still. The worst thing would be to fall in love with one and then find it's not available. Flip flops are such a perfect beach wedding image. We actually had fondant flip flops on the top of our wedding cake. So cute! 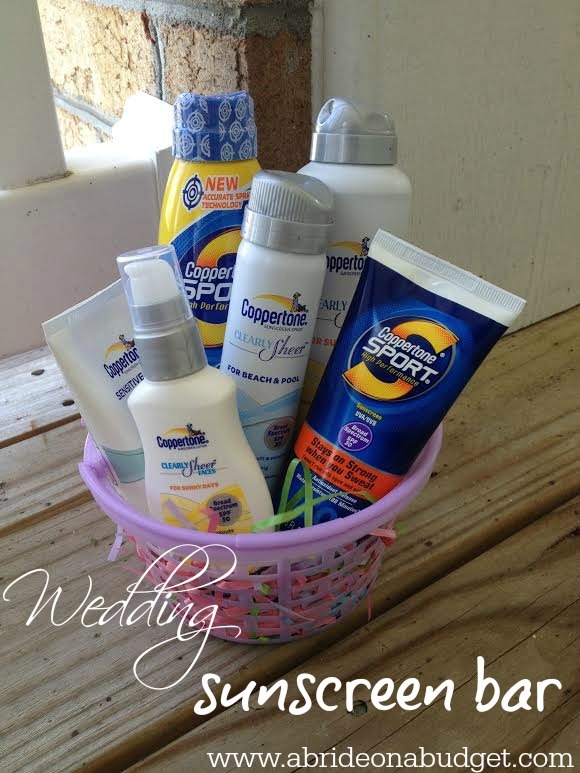 So these flip flops in the sun wedding invitations are perfect for your beach wedding. The enclosure cards also have a cute cartoon wave to them, making them just a little more special. When I go to Florida, the thing I always notice most are the palm trees. We don't have them here in North Carolina, despite living so close to the beach. 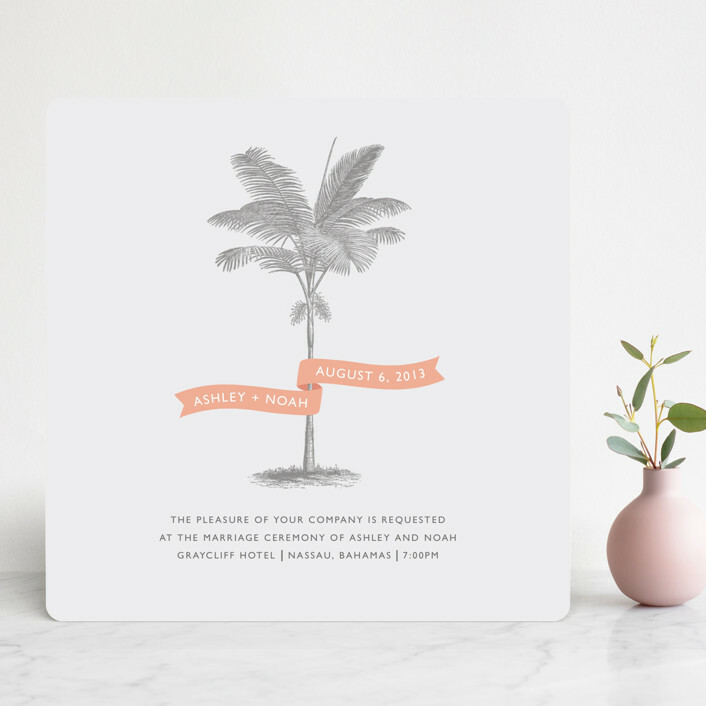 So if you're having a beach wedding, these palm wedding invitations will really have your guests ready for the sand and sun. Plus, there's something that I love about the banner wrapped around the tree, like the wind took it and the palm caught it. These Sunset Silhouette pocket invitations are the most important to my heart on this entire list. 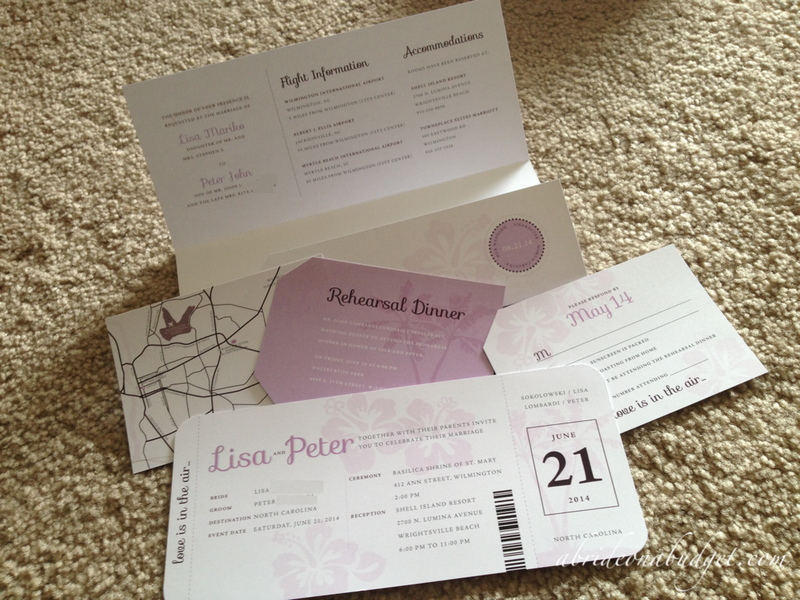 See, there are more than just invitations and enclosure cards in this design. 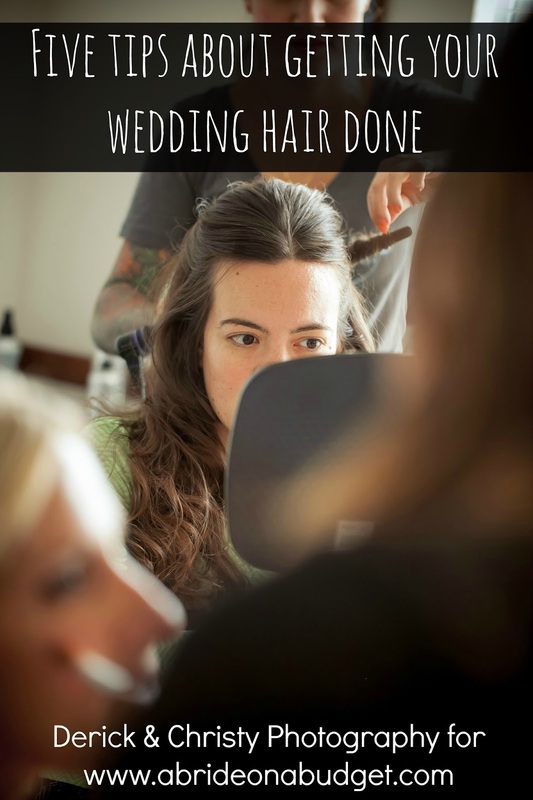 You can also use it for your wedding programs. And we did use these for our wedding programs. We even cut one up and used it in our card box. Our wedding invitations had a plane ticket in them, since it was a destination wedding for everyone but us. 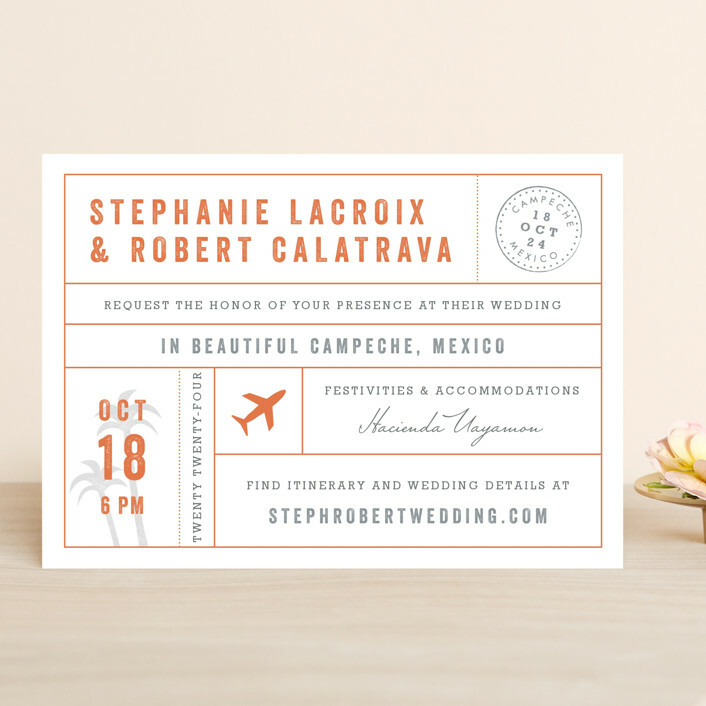 These passport wedding invitations were the closest I could find, without hiring a designer. I would suggest picking up a corner rounder paper punch and rounding these corners to look more like a boarding pass. This Kraft And Ivory Beach Wedding Invitation is beautiful, but I would be worried about all the embellishments falling off in the mail. So I'm super excited that you can actually order a sample of this before placing an entire order. Honestly, I think more invitation companies should do that. 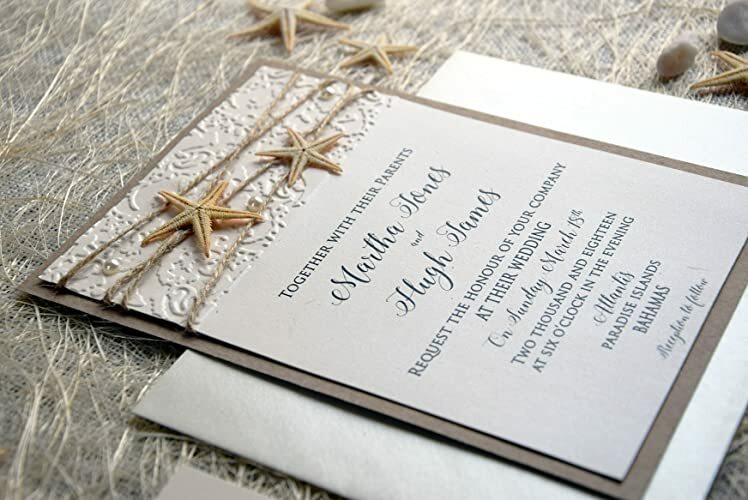 Don't mind that this Seashells And Starfish Wedding Invitation has bridal shower text on it. What's great about this one is that you can customize the text to say whatever you want it to say. So, as long as you like the design, go with this invitation. 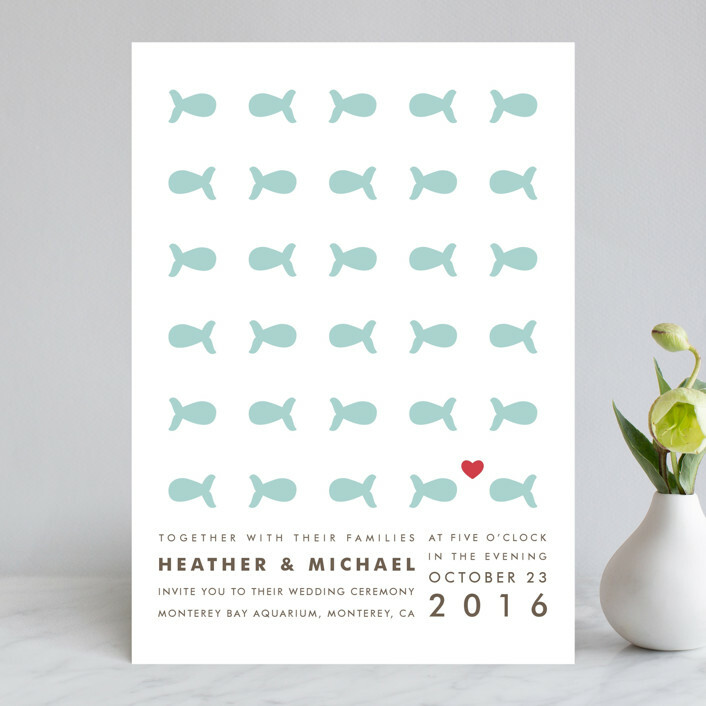 I'm in love with this Only Fish For Me beach wedding invitation. It's so playful and cute, but still really classy. 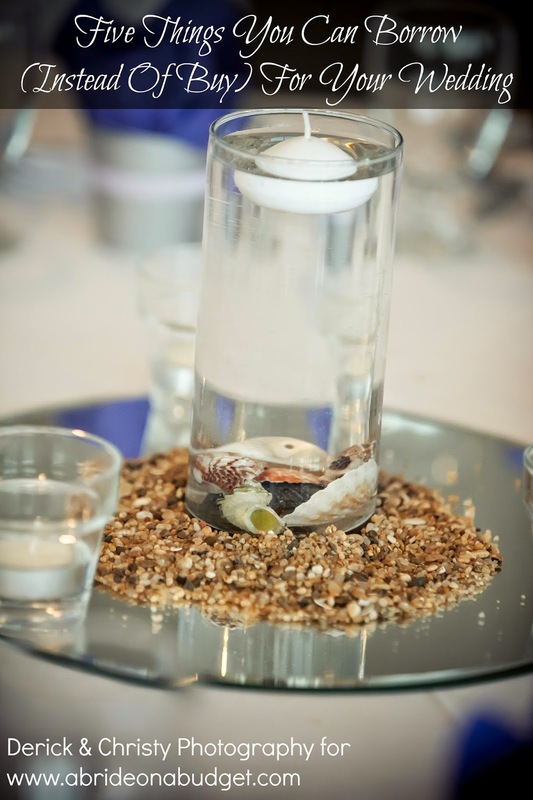 It also really meshes well with the Two Less Fish In The Sea craft I created a long time ago. I'm obsessed with this Painted Sea Wedding Invitation. Ob-sessed. The ombre of the water, the subtlety of the words on the beach, I just can't with any of it. It's incredible. And you want that sort of effect when you send your wedding invitations, don't you? I love the foil accents in this Beach Union Wedding Invitation, so of course it had to be on this list. I don't love that the image of this is actually a gif and swaying side to side, but you need it in order to see the shine. And, really, that's what your guests will be doing when your invitation comes in the mail. Check out the texture in this Perfect Watercolor Wedding Invitation. 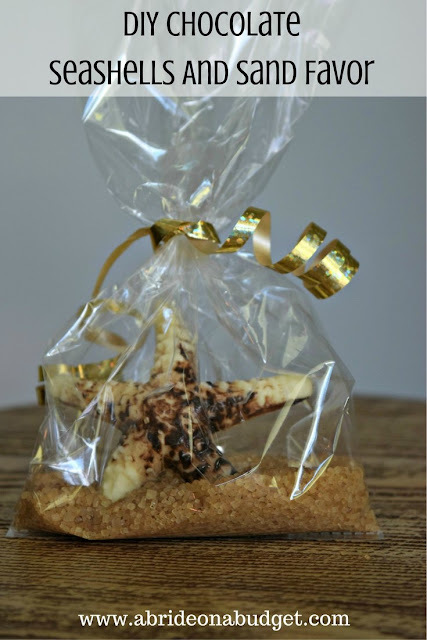 It just looks like it would feel amazing when your guests take it out of the envelope. I love it just for that. If you love it, but blue's not your thing, you can actually change it to purple or the most perfect salmon. As an added bonus, I'm including our actual wedding invitations because I just think they're the most perfect beach wedding invitations of all. I had them designed for us, then I had the components printed locally. I did spend 13 hours between cutting the components, stuffing the envelopes, and stamping them, but it was absolutely worth it. Check out more images of our wedding invitations here. When you're picking your beach wedding invitations, there are a few things to keep in mind. 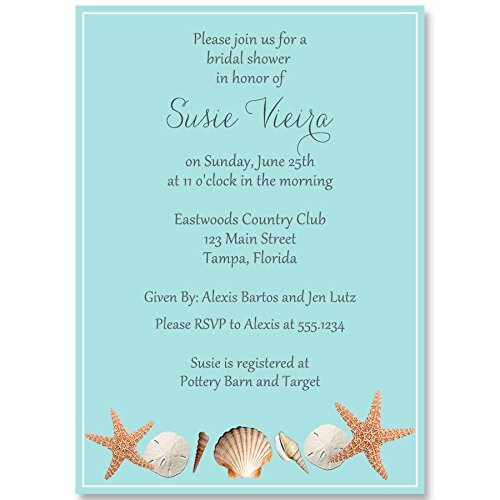 Make sure to choose beach wedding invitations with RSVP cards that match. 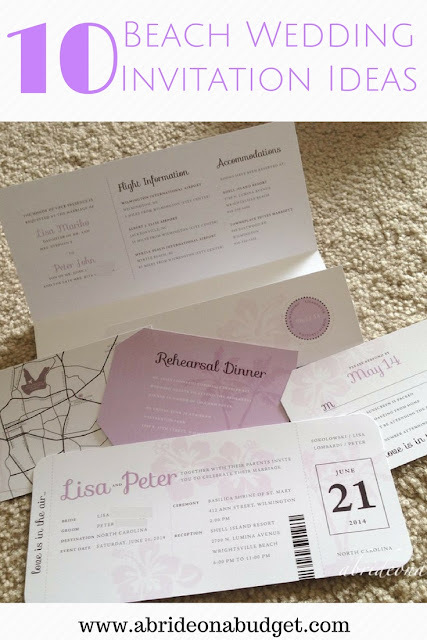 It doesn't make much sense to choose a beautiful invitation that matches your theme and then have some plain white enclosure cards. If you're planning a beach wedding, be sure to check out our beach weddings board on Pinterest. Plus, if you want to see what we went with, you can check out our beach wedding invitations here. Unsure about your wedding invitations? You can get a few samples to help your decision making. You can get eight samples from Wedding Paper Divas here. BRIDAL BABBLE: Which of these beach wedding invitation ideas is your favorite? I love all these unique beach invitation ideas, my favorite is number four of the all. This is Great wonderful wedding invitation ideas.. awesome Thanks for sharing.. I like #7 the best.